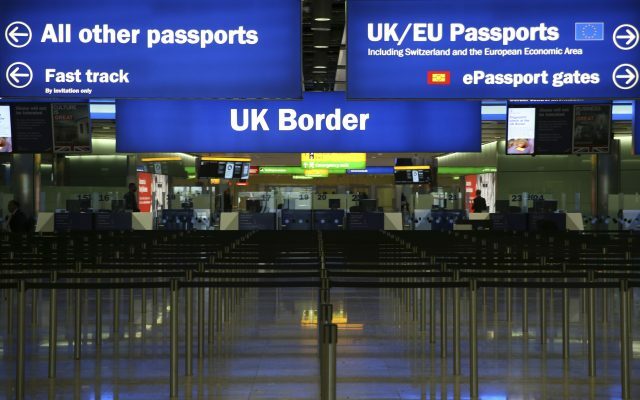 The Brexit transition period means UK immigration rules won’t change until 2020, but that doesn’t mean the government can’t enact other policies to make immigration more or less attractive. Professor Jonathan Portes looks at the implications of immigration decisions for UK businesses. The government’s de facto decision to accept that there will not be an ‘implementation period’ immediately after Brexit day, but rather a ‘status quo transition’, means that the current rules governing free movement will remain in place until at least the end of 2020. The government intends to introduce a registration requirement for new arrivals from the EU during this period, but this will have to be done in a way that is consistent with EU law. Meanwhile, despite the fact that neither immigration law nor policy towards EU nationals has changed since the Brexit vote, there has already been a sharp fall in net migration from the EU. In the year to June 2016, it was 189,000, whereas in the year to September 2017 (the most recent available data) it fell to 90,000. This has already had consequences for the economy and public services – the sharp reduction in net inflows of nurses from the EU, for example, has aggravated existing staff shortages and helped contribute to the recent NHS winter crisis. Meanwhile, public opinion appears to have shifted somewhat, with immigration both viewed more positively and as a much less salient issue. There is, however, no clear vision of immigration policy after Brexit, let alone any concrete policy decisions. While the political and economic balance within the cabinet and the country has apparently shifted in a more liberal direction – and this is likely to influence those decisions when they are taken – there has been no substantive discussion either within government or in the country as a whole. The Home Office, in particular, is struggling with the legal and bureaucratic consequences of the need to grant ‘settled status’ or ‘temporary residence’ to the more than three million EU citizens currently resident in the UK. It is therefore not in a position to make much progress on policy for future migrants. Indeed, the two most important decisions taken by the government on future policy have been non-decisions, or rather decisions to ‘kick the can down the road’ to avoid taking decisions now. First, the government’s white paper on immigration policy, originally promised for the summer of 2017, has now been delayed until the end of 2018. And, second, the Home Secretary has asked the independent Migration Advisory Committee (MAC) to report, probably in September 2018, on the economic impacts of EU migration. It is particularly notable that her letter to the MAC pointedly omitted any mention of the government’s manifesto commitment to reduce net migration to the ‘tens of thousands’. So the government seems to be slowly backing away from its most high-profile commitment on immigration – and not before time, given that position has been both politically and economically damaging – but without replacing it with any alternative strategy. The default assumption remains that the post-Brexit system will be a variant of the current system that applies to non-EEA nationals: that is, work permits (or ‘certificates of sponsorship’) for those moving here to work, and presumably some variant of the current system that applies to non-EU migrants moving here for family or other reasons. This would be quite different from the registration system for pre-2021 EEA nationals. In other words, EEA nationals after ‘full Brexit’ would be subject solely to UK immigration law, not to the current free movement regime, nor to the agreed arrangements for EU citizens already here (or those arriving during the transition period). However, this leaves almost all the key questions unresolved. After all, any immigration system that involves neither free movement nor completely closed borders means that some criteria need to be applied to determine who is permitted entry, and under what conditions. The key high-level questions are the following. • Will the new system retain any element of ‘European preference’? It is reported that the government is split between those who think that the new system should apply the same rules to EU citizens as non-EU citizens, as proposed by the Vote Leave campaign, and those who favour a two-tier system, with more liberal rules (relating to salary thresholds and shortage occupations, for example) for EEA nationals. • Will there be sector-specific schemes, and if so for what sectors? Promises have been made to sectors ranging from agriculture to financial services that they will not lose access to EEA nationals. However, sector-based schemes, particularly beyond the small and geographically distinct agricultural sector, add an extra layer of complication. At the moment it seems likely that there will be a sector-based scheme for agriculture, but it is unclear whether there will be any other sectoral preferences. • Will there be any geographic variation in the new system? Both the Scottish government and the Mayor of London have called for the flexibility to apply more liberal policies after Brexit, reflecting both political and economic considerations. The Home Office has always strongly opposed such variation, but the political balance on this issue may have shifted. • Will EU students be subject to the same visa rules and charging regime as those from the rest of the world? This is likely to depend on discussions with the EU27 on cooperation in education, student mobility and research post-Brexit. Meanwhile, it is unclear how – or even if – the domestic policy process will interact with negotiations with the EU27. Neither the government nor the EU27 has yet taken a clear position on whether labour mobility should form a major part of any agreement on the future relationship. Both the Prime Minister’s recent speech and the Commission’s draft negotiating guidelines suggest that it will be on the agenda, but it will be difficult to include extensive provisions in a free trade agreement. While there are some relevant provisions in, for example, the Canada-EU trade deal, and any future UK-EU deal is likely to cover intra-company transfers at least, going further than this would be politically and legally complex for both sides. Obviously, before all these decisions are taken, it is impossible to assess the sectoral impact of any new system. However, certain sectors are clearly vulnerable. • The NHS. The proportion of NHS staff who are from other EU countries is fairly close to the national average, but they make up a far higher proportion of recent recruits, as it has become much more difficult for the NHS to recruit from outside the EU. Indeed, the government’s cap on skilled worker visas is now biting, stopping the NHS recruiting much needed doctors from outside the EU at the same time as the UK becomes less attractive to EU doctors. • Agriculture. Some labour-intensive farming is highly dependent on EU workers. But, although highly visible, this is a small part of the UK economy. Perhaps more importantly, the broader food processing industry and food supply chain is also reliant on EU workers, some in specialist occupations such as veterinary medicine. • Construction. This is a concern in London in particular, where a large proportion of workers are from the EU, and pressures are already beginning to emerge. • Higher education. The UK higher education sector has expanded rapidly in recent years, with the EU making up a substantial proportion of academic staff recruits. They now make up more than 1 in 6 of all staff. At the same time the sector also relies on EU students, who are treated the same as UK students for fee purposes. More broadly, there remains an overarching question about just how liberal or restrictive the system will be post-Brexit. The climate of opinion both within government and the country has clearly shifted, particularly since the general election, as the Prime Minister’s position has weakened (she is clearly the most anti-immigration member of the cabinet), immigration has fallen, and the consequences for business and key sectors (including the NHS) of reduced access to EU workers has been publicised. So while, as noted, nothing has formally changed in policy terms, internally the mood has clearly shifted. What will the impact be on the UK economy? Over the medium to long term, the end of free movement is likely to lead to a large reduction in EU migration, which will certainly reduce GDP and tax revenues, and possibly have wider impacts. Indeed, as Thomas Sampson points out in this report, the reduction that has already occurred since the referendum has probably contributed to the marked slowing of growth. Finally, the analysis above assumes that the current government and its broad approach to the UK’s post-Brexit relationship with the EU remain in place — in particular the decision to leave the single market. If this changes, then some significantly different options might become feasible, including an extension of free movement in something much like its current form. There would, however, be significant challenges, both legal and political, on both sides of the Channel. The EU would have to accept some modifications to the legal framework to give the UK greater control over inflows, while preserving the basic principles of free movement. Meanwhile, the UK would have to implement major administrative and systems changes, and there would be inevitable trade-offs between increased burdens on business and individuals and the degree of extra ‘control’ afforded by such systems. The negotiability of such changes will depend, crucially, on the political context and on political will both in the UK and in the EU27, but it should not be concluded ex ante that they are impossible. Professor Jonathan Portes is a senior fellow at The UK in a Changing Europe. This piece originally featured in The UK in a Changing Europe’s Article 50 one year on report. This article was first published by The UK in a Changing Europe.